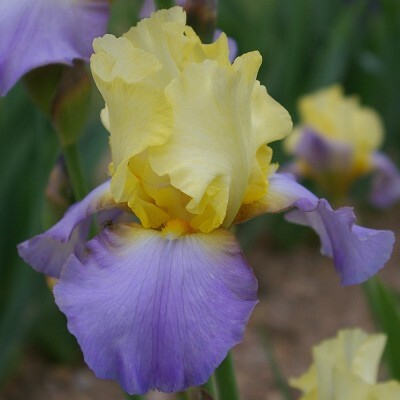 A very French iris named after the remarkable British Cathedral where it has been launched! 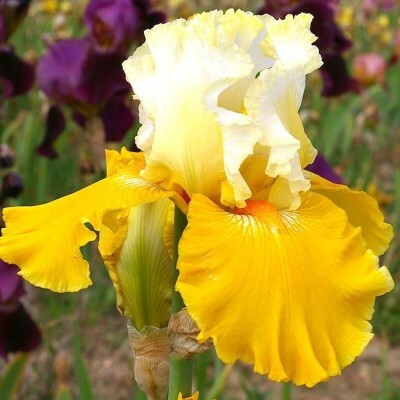 Creamy white standards with finely serrated butter yellow edges. 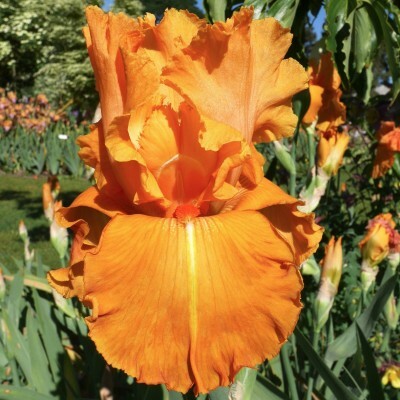 Deep golden yellow falls and orange beards. A very rich tone, sound branching, good substance and averaging 8 buds per stem. Not the brightest orange, but certainly the most radiant! The tone is stronger on the falls which are enhanced by a creamy middle line extending from tangerine beards. Jagged flowers and no less than 8-9 buds per stalk. Named after the beautiful Ile de Ré off the Brittany coast, it displays a combination of delicate seaside colours: the bluish-white on opening becomes pure white in full bloom. Pale yellow beards tipped with white. 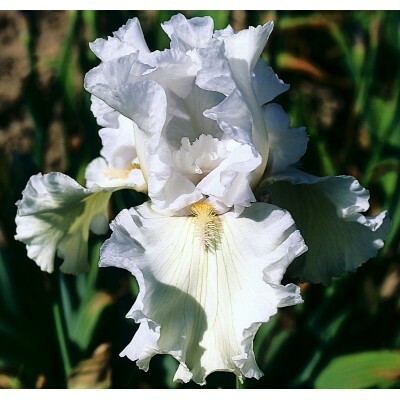 Numerous remarkably shaped ruffled flowers and a strong multiplier.